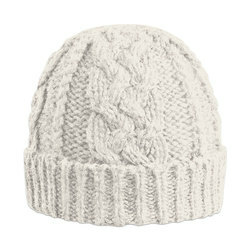 Born and well-established in the Canadian Rockies, Rella is a premium line of knit headwear and accessories for discerning, fashion-conscience men and women. Although they have only been in the U.S. clothing market for a bit over a year, increasing sales coupled with positive customer reviews have positioned Rella for an exciting future. Gone are the single-pair, all-purpose black leather gloves of yesterday. Toss aside that old grey stocking hat and gift your old scarf to the snowman in the front yard. It’s time to update those mitts, scarves and hats for the top-quality ones you deserve. 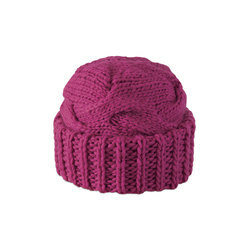 Rella Hats, Beanies, headbands, texting gloves, mitts and scarves are constructed from the finest wool blends and provide the ultimate in comfortable, high quality, fashion accessories. Whether worn for a night on the town, the big-city premier, a mountain ski excursion, or heading to class or the office, this collection is classically-inspired with a modern edge and transitions easily from day to night without effort. Premium wool fibers and superior manufacturing combine beautifully to create all-weather accessories with maximum softness, cozy warmth, and that still hold their shape. Only the finest of wools are used in the making of Rella accessories. Ultra-soft Angora, sturdy Merino, and fluffy Alpaca wools with form-holding acrylic, polyester or viscose result in years and years of fashion-savvy wear. Perfect for the coldest of weather, of course, but you’ll likely find yourself looking for any reason to slide on a pair these mitts, slip a cute scarf around your neck, or don one of the many beanies. 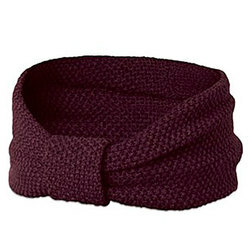 Rella Beanies, headbands, urban hoods and snoods are available in many different colors, making it easy to pair the perfect headwear with whatever else you are wearing. 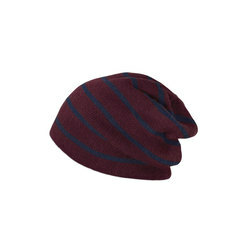 Double-layers and fashion darts such as in the Haddock Beanie, the more masculine Rella Q Tweed Beanie, or the incredibly silky, soft Rella Lapin Beanie allow for a variety of styling options. Regular or asymmetrical cuffs allow a more fitted look cuffed up or don’t cuff and go for a bit of slouchy, relaxed attitude. 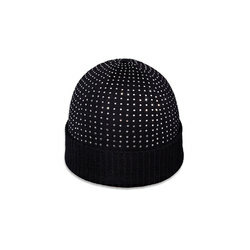 For a bit of glitz and glam, opt for the glass-crystal studded La Dame Beanie. Optional, removable brooch poms on select styles keep things flirty or serious, depending on your mood. For a matched look, opt for mitts, fingerless gloves or texting gloves in the same design and color as your headwear or make your own statement with a mix and match pairing. Versatile scarves, suitable for all day wear even in the office at the opera or shopping with friends, make for a chic, all-season fashion statement all your own. From fierce animal prints to contrast striping, from muted and nature-inspired tones to sassy hues and regal colors, from simple stitches to cool geometric knits and wide ribbing, braided side strings with tassel bottoms, fleece-lined and fully fashioned, cute side buttons, leather plackets or zippered details, Rella keeps the options fun, sporty, classic, casual, stylish, predictably unpredictable, and chic for both men and women. No matter which you choose, you’ll not only stay toasty warm with a style all your own but you can totally justify owning more than one of each!